Somatics Catalog - Product Report: "#IA3"
THE INTEGRAL ANATOMY SERIES by Gil Hedley, Ph.D. - Vol. 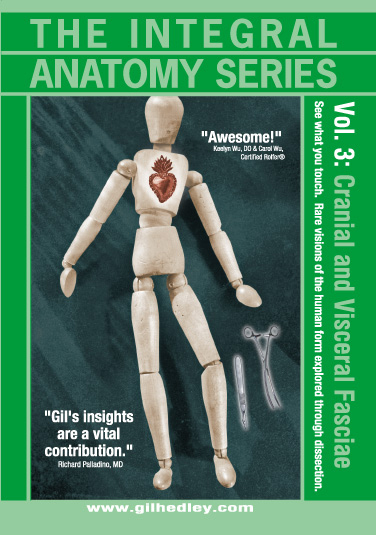 3: Cranial and Visceral Fasciae. In this volume, the fascial and mombranous wrapping of the cranial and visceral spaces are explored, with particular emphasis on the continuities and relationships of the respiratory diaphragm. See what you touch. Rare visions of the human form explored through dissection. DVD, color, 113 minutes.